So I took this past week for my "quiet and rest" as I said in my last post. 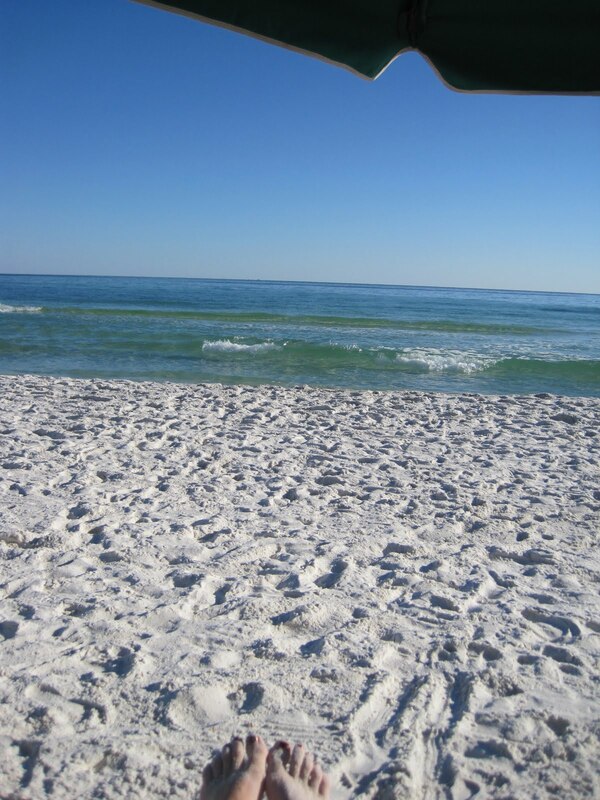 I was blessed to spend it in Destin, Florida, and I definitely found my quiet moments there:) I tried to hide the car keys so Hubby wouldn't be able to take us home, but he found them, so back North we go. While I was enjoying those quiet moments with God, He started talking to me about the difference between jumping and falling. See, there are moments where we fall--usually if our feet aren't on solid ground or we slip, or maybe even the ground suddenly opens beneath us. In those moments I'm always amazed at the depth of His presence and how He never fails to catch me. There's a sweetness found there like no other, a trust that's built where I know that no matter what, no matter how far the fall, He's there. Those are the moments that help me when I'm called to jump. Yes, jump. That moment when God beckons you to jump into His presence. Sometimes it's an area in your life that you've been working on, and God finally says it's time to leave it all behind--let that last little grip of it go. Maybe it's trusting Him with something so dear to you that you want to cling to it when you need to cling to Him instead. Or maybe there's a change happening in your life and you can't quite see your landing spot, but God's asking you to jump--He's already there waiting for you. jump to the place He's standing, waiting to catch us and take us deeper, farther, beyond where we've been and to the place He's designed for us to be. Will you dare take that leap? He's there, waiting. Oh my goodness! Susan, you are such a blessing! How did you know I needed to hear these exact words today? Thanks, Susan! 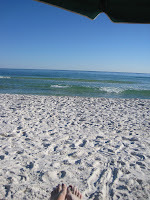 Glad you enjoyed a restful week in Florida! I'm so due for a rest. What a meaningful post. I feel like God is calling me to jump into His arms often lately. Wendy - I know what it's like to need a rest. It's such a needed thing all too often pushed aside because we don't feel like we can stop. Hope you find some rest soon. Great post! I'm glad to know He's there during both the falls and the jumps. Sounds like a relaxing break!